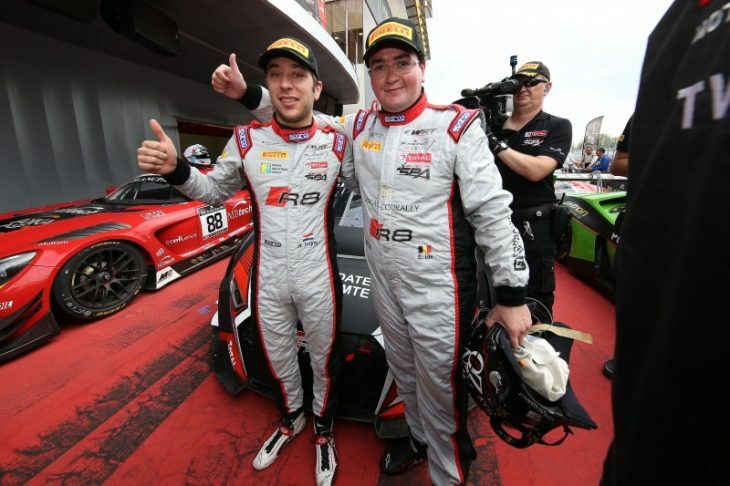 Enzo Ide claimed the Blancpain Sprint Cup Title with a third place with sub Robin Frijns in the #33 WRT Audi and the #84 HTP duo of Dominik Baumann and Max Buhk won the Blancpain GT Championship with a points finish in the Main Race at Barcelona. The drive-through penalty in the Qualifying Race proved too costly for championship challenger Rob Bell, who along with Alvaro Parente in the #58 Garage 59 McLaren, failed to score any points. The pair started 16th and only managed to climb to 13th, Bell bowing out of the championship in the process as Buhk and Baumann finished sixth, extending their points lead. 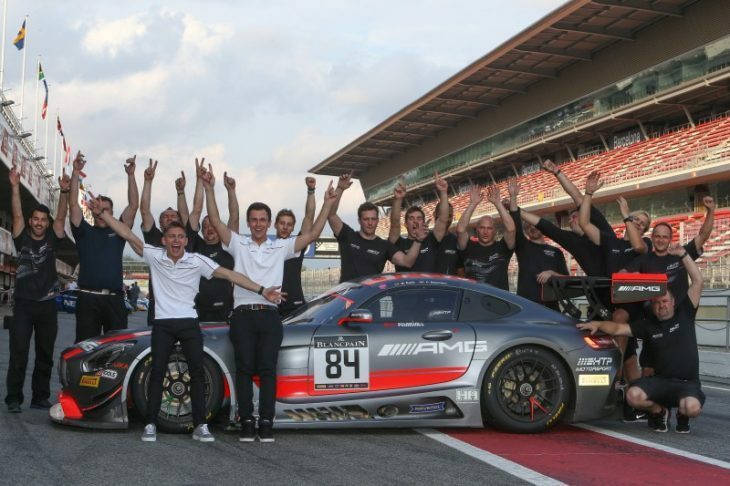 As a result Maxi Buhk is the first driver in the history of the Blancpain GT Series to win an endurance title (2012), sprint title (2015) and overall title (2016). HTP also won the Teams Championship in the process. “We did not have the pace in the race,” admitted Buhk. “So it was really tough today. Especially at the end of my stint, because we needed some points to not only win the drivers’ championship but also the teams’ championship. So I could not attack as aggressively as others were defending, but in the end I am more happy to have won the championship together with Dominik. The race win though, went to Tristain Vautier and Felix Rosenqvist’s #88 AKKA Mercedes, after Vautier took the lead at the start and raced off into the distance. It was the first overall win for the French team, capping off a very impressive season. Ide meanwhile, who started from pole and fell to second, played it safe and let the #8 Bentley of Maxine Soulet took second off him soon after. 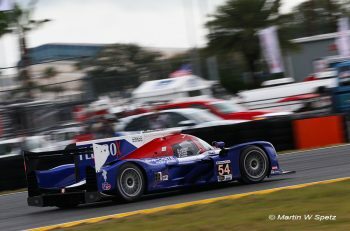 In the end however, the place wasn’t settled easily as when Frijns climbed aboard he went on a charge for second and ran off the circuit trying to make a way past Andy Soucek. But the Bentley prevailed. 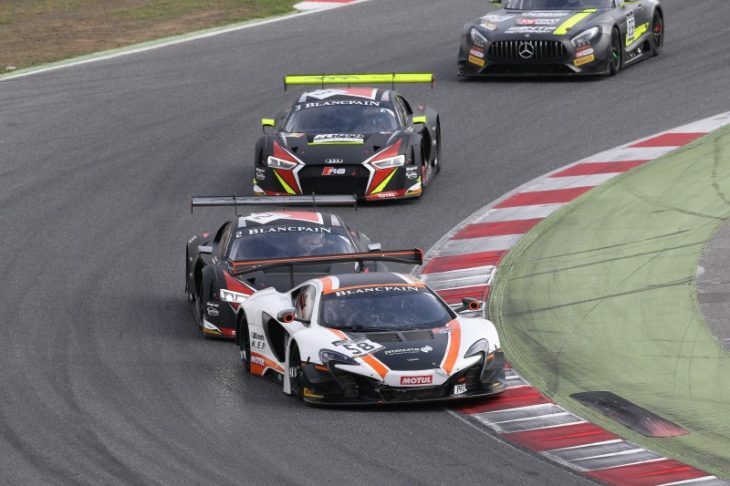 The Silver Cup category in the Barcelona event was won by Nikolaj Möller Madsen and Alessio Picariello, at the wheel of the #5 Phoenix Racing Audi. 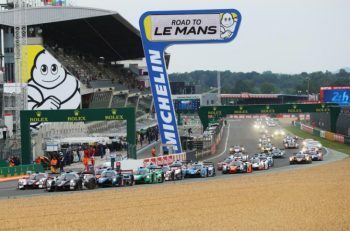 Even though the tyres on his car were long gone,Picariello put up a masterly defence of his sixth position overall, holding off the #19 Grasser Racing Lamborghini of Michele Beretta and Luca Stolz. However, Beretta and Stolz finished on top in the season’s Silver Cup standings however, beating Möller Madsen by 21 points. The Lamborghini duo had their best races in the middle of the season, taking Silver Cup wins in Brands Hatch and at the Nürburgring. It was a similar story in Pro-Am, where the win went to the #333 Rinaldi Racing Ferrari of Rinat Salikhov and Norbert Siedler. 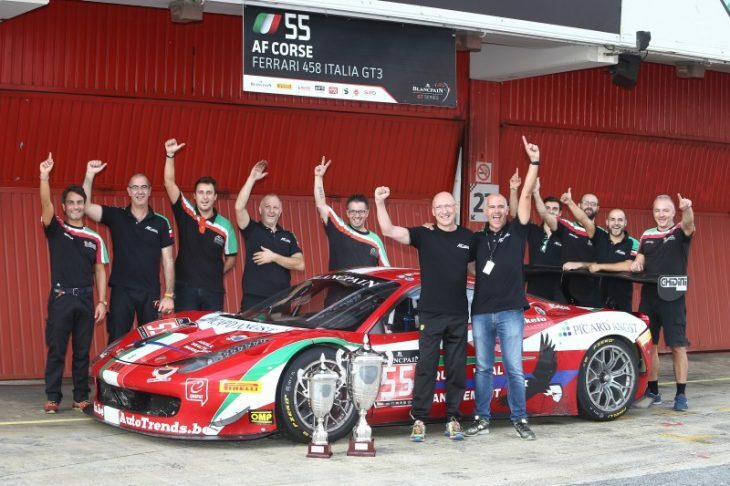 The duo of the green Ferrari prevented #11 Kessel Racing drivers Michal Broniszewski and Giacomo Piccini from claiming their fourth win of the season, but second was enough for the Italian-Polish duo to claim the Pro-Am Sprint title. 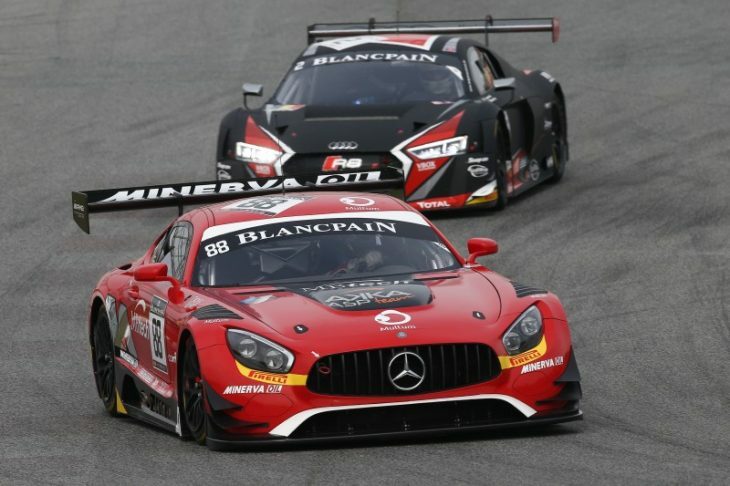 That means that Broniszewski had a perfect score this season, also winning the Pro-Am endurance and overall titles, together with a title in the Blancpain GT Sports Club. 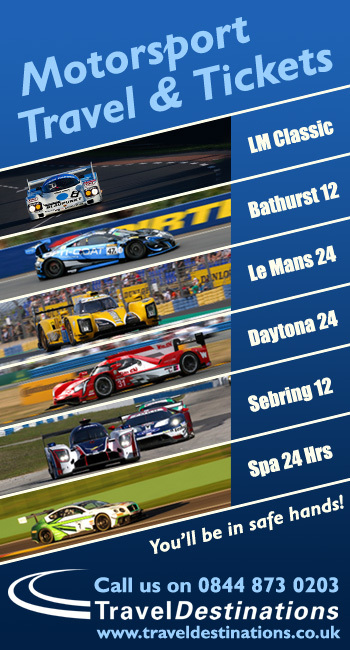 In the Pro-Am teams’ standings Kessel Racing held off AKKA ASP. 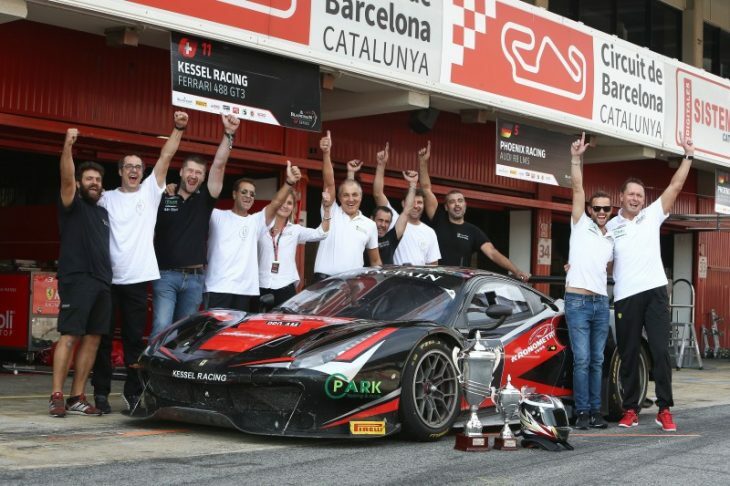 With the Am Sprint and overall title races decided before the start of the Barcelona event, Claudio Sdanewitsch and AF Corse taking both, the driver could entirely focus on the race. Stéphane Lemeret and Claudio Sdanewitsch had some problems during the driver change, but the race pace of the #55 AF Corse Ferrari was near perfect and the pairing took their fourth win of the season.